Obituary for Kenneth M. Griffin | Kostanski Funeral Home, Inc.
Kenneth Michael Griffin, 66, passed away peacefully on Tuesday 2/5/19, surrounded by his loved ones, after a short battle with cancer. Ken was born in Holyoke on October 27, 1952, the son of Daniel and Lorraine Griffin. Ken attended and graduated from Holyoke Catholic High School, class of 1970. In 1977, Ken moved to Greenfield and was a machinist at the Greenfield Tap and Dye, which has been since changed to Kennametal. Ken was a loving father to his three children who cared for him through his illness; Kerri Griffin of Greenfield; Kevin Griffin and his significant other of Montague; and Kara Williams and her husband Edward of Montague. Ken was known as Grampy to his five grandchildren, Ryan Griffin, 18, Caleb Williams, 14, Jacob Williams, 13, Hunter Williams, 8, and Summer Williams, 6, all of Montague. He was also known as “Grampy” to A.J. Holder of Bernardston. Ken is also survived by three brothers, Daniel Griffin and his wife Janet of Westfield MA; John Griffin of Greenfield; and Michael Griffin and wife Elizabeth of Belchertown MA; a brother in law, Royce Olive of Raleigh, NC; and several nieces and nephews. Ken was predeceased by two sisters, Ann Olive and Kathleen Martowski and her husband Walter ; and a brother Wayne Griffin. Ken was the primary care giver for most of his eldest grandsons’ life. Ken had friends whom he loved spending time with and considered family, Anthony and Amy Holder of Bernardston. 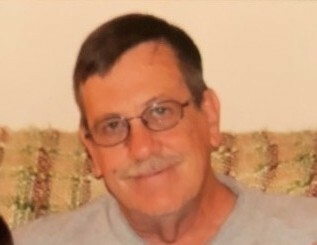 He is also survived by his ex-wife Karen Griffin and her significant other Robert Bassett of Greenfield MA. Ken was a true, life long, local fan of Greenfield High School Football and was an annual supporter. Ken also enjoyed UMASS Basketball games, but loved watching all the New England sports teams, especially The New England Patriots. He will be dearly missed by all. A calling hour will be held Sunday 2/17 at 1pm followed by a memorial service at 2pm at the Kostanski Funeral Home, 220 Federal Street, Greenfield. Burial will be held at the convenience of the family.